We’ve had a very calm and cozy Sunday. 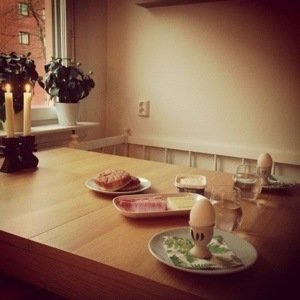 The morning started with a candlelit breakfast. Then we baked cupcakes and started preparing the apartment for the 1st of Advent next Sunday! Now everything is ready and next weekend we can light the stars and candelabra! I was so tempted to turn on the lamps today already but I just can’t go against tradition! We also went for a quick coffee and cupcake visit to my parents. Our evening ended with a fantastic Sunday dinner, baked potato. 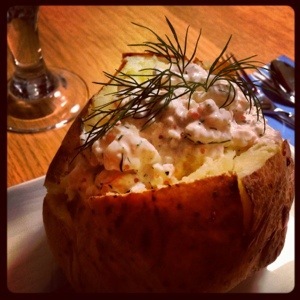 We’ve never tried to make baked potato ourselves before but it turned out much better than at the restaurants! A oven baked potato tastes much better than a microwaved one! !